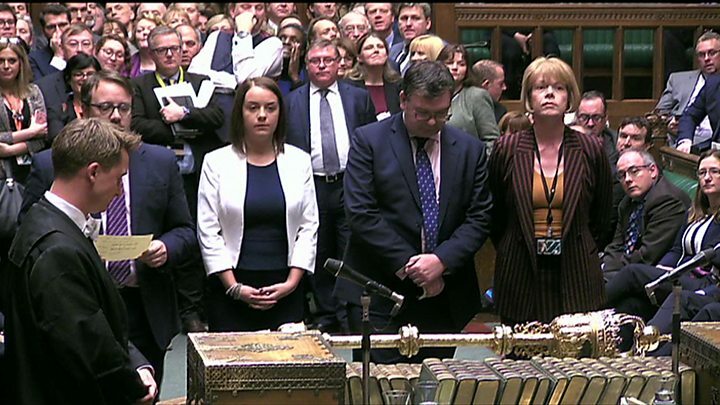 The contempt vote move, which is believed to be unprecedented, came as Theresa May prepared to sell her Brexit agreement to MPs at the start of five days of debate on her EU agreement. The Attorney General Geoffrey Cox published a summary of the advice on Monday and answered MPs questions for three hours – but said that full publication would not be in the national interest. Following Tuesday’s vote, the privileges committee will decide which ministers should be held accountable for this failure and what sanction to apply, with options ranging from a reprimand to a potential suspension from the House of Commons. Shadow Brexit Secretary Sir Keir Starmer said Tuesday’s vote had “huge constitutional and political significance” and it was “unprecedented” for ministers to have been found in contempt.